to keep in reparation so much of the north and east wall of the said town that should include the said College, and that also they make a gate or postern on each side of the said wall at the extent of the College limits, to the end that the Mayor and Bailiffs of Oxford may, once every three years, enter and pass through them, to see whether the said wall be kept in a competent manner of reparation, and also that the commonalty of the said town might have free passage in times of war through the said posterns for the defence of the said town. 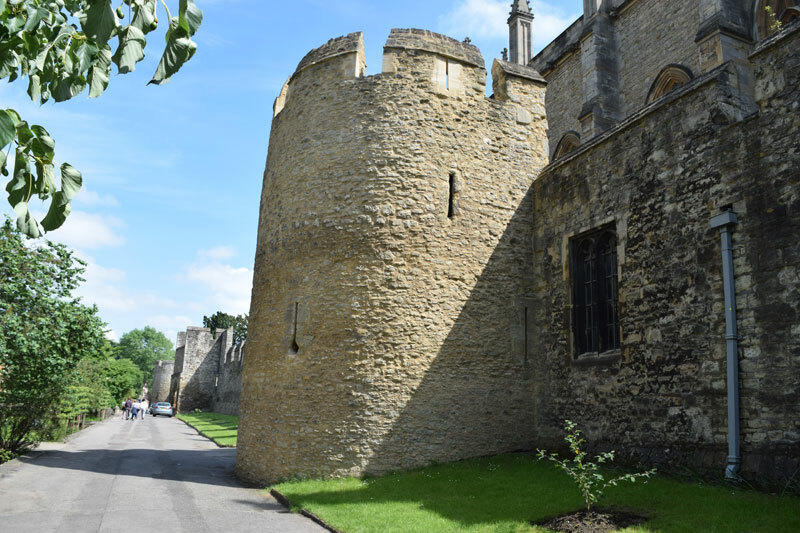 The Lord Mayor of Oxford and a group of city councillors still inspect the city wall at New College every three years, entering by the non-licet gate in New College Lane. 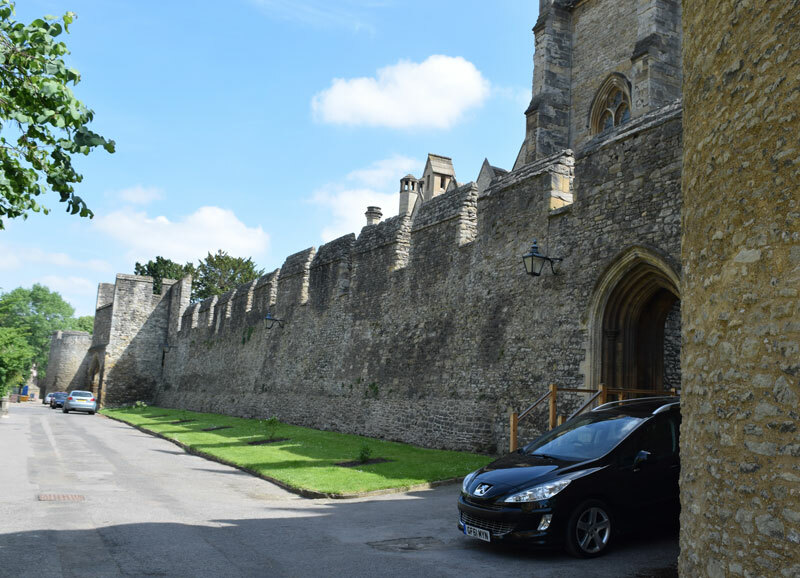 New College has taken such great care of the wall on behalf of the city that all the sections of wall and the five bastions within the college are still virtually intact and are separately Grade I listed under eleven separate list entry numbers. This section of wall is Grade I listed (List Entry No. 1046610). 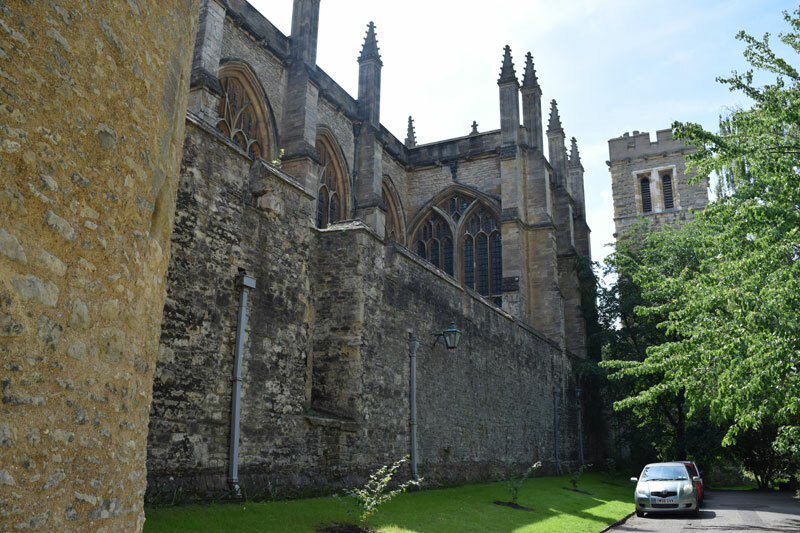 Unlike the old buildings of New College, the bell tower stands outside the City Wall. This bastion is Grade I listed (List Entry No. 1369705). 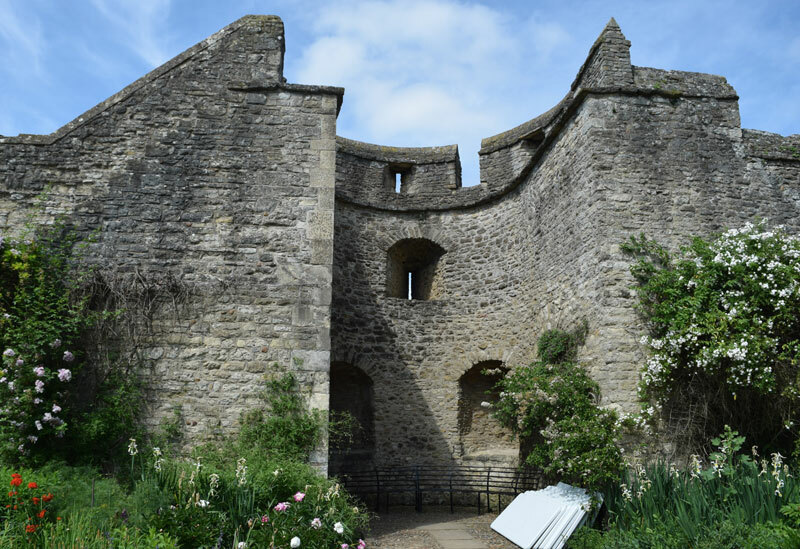 The outside of this bastion can be viewed by visitors from the Slype, once the site of the city moat. This section of wall is Grade I listed (List Entry No. 1184453). 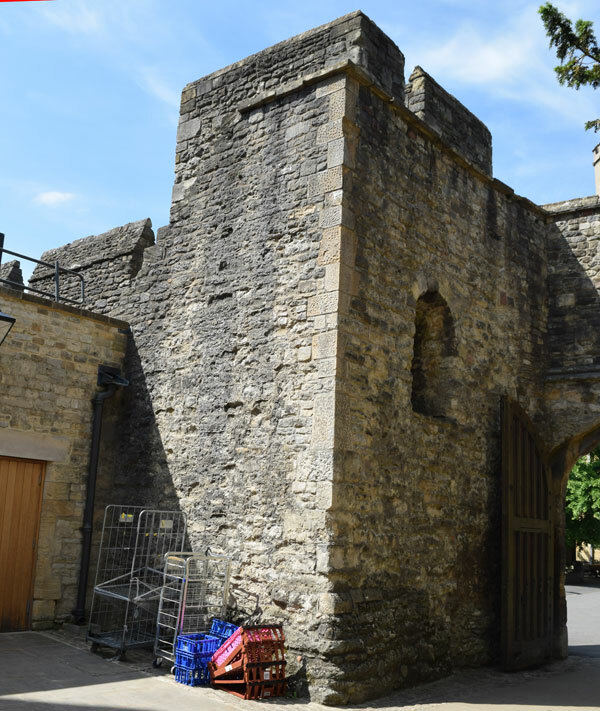 A vehicle entrance has been cut through the wall here, giving access to the college (whose original entrance is in New College Lane) from Holywell Street. 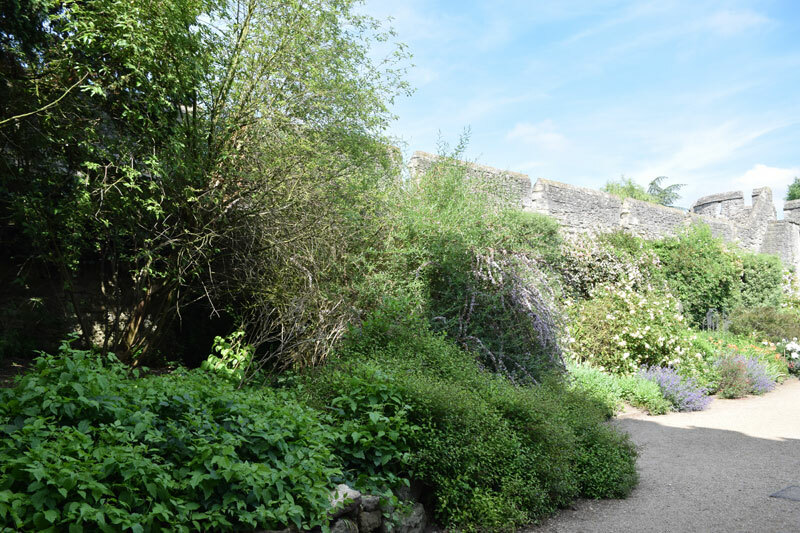 This section of wall is Grade I listed (1184468) and is the first section of the wall that can be viewed from inside the garden at New College. This bastion is Grade I listed (List Entry No. 1046612). 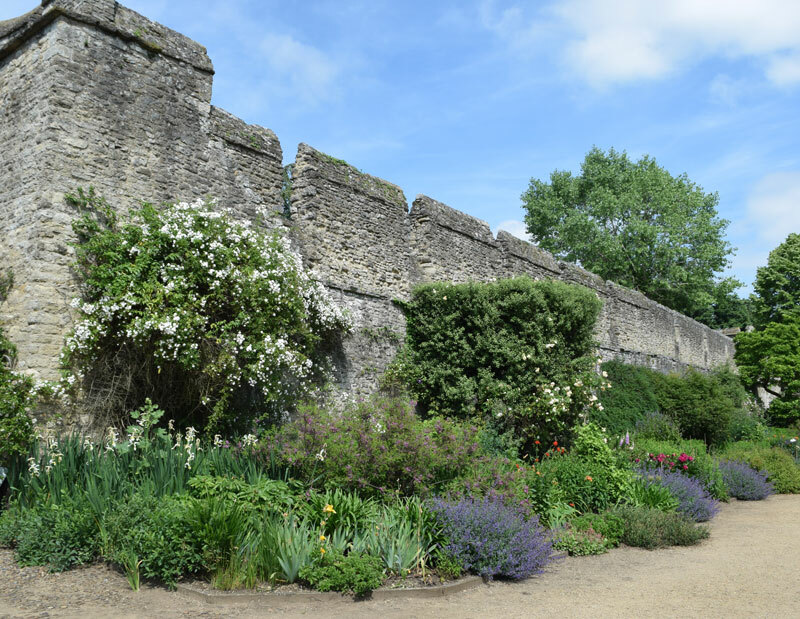 This section of wall running to the north-east corner of the city wall is Grade I listed (List Entry No. 1369706). Bastion 14 that turns the corner at the east end of this stretch of wall and the portion of the East City Wall that runs southwards marking the boundary of New College and Longwall Street are dealt with on the next page.